Pleasure for the Empire: Do You Like the Word "Palimpsest"? 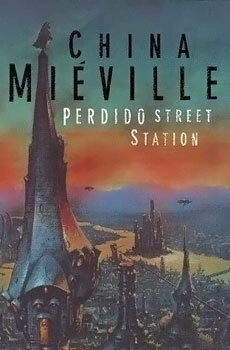 Because if you do, Perdido Street Station is the book for you. Let me tell you boy, there are a lot of characters and descriptions of things which have zero impact on the story in this book. Of particular uselessness are three robots and three mercenaries. Oh, oops, I should say "spoiler alert". SPOILER: the three robots and the three mercenaries have no effect on the rest of the story. The British cover (here) is vastly better than the American cover.